Kratom is a Tree that was grown & harvested in South Asian Countries. The farmers pick the leaves from the tree and make them dry and then sold to Business people. There are millions of people were taking Kratom and also many people are not knowing how to use Kratom powder. The truth is, there are no actual right or wrong way to use Kratom, and most of the people would take this Kratom powder in their own way to enjoy the pleasure of it. However, we are here to cover the most raising question from the users of Kratom is how to use Kratom powder and the best ways to take Kratom powder. Before you are using the Kratom powder you have to know about many doses you have to take and when to take. This article will help you and guides you with the best ways to take. As per me a Right dose of Kratom powder differentiates advantages and disadvantages. There was a famous saying in India “if you take too little or too large both were harmful. Take the right quantity at the right place at the right price at the right time” it will be applicable for anything, even for this Kratom powder. How to take Kratom properly? Before using you have to take the better quality product from the available suppliers. My advice is if you take the better product then you will get better results. You can buy Kratom from Kay Botanicals, here, you can receive the Kratom in a powder form. Along with that have another glass filled with water/ soft drink whatever you like (once you took the dry powder into your mouth immediately you can take water available in another glass instead of chasing for the water at that time suddenly). Pour gently Kratom powder into your mouth by having your tongue down (popularly called as toss it on your throat). After that immediately drink that glass of water/soft drink(popularly called as Wash) so that you feel comfortable with the dry powder. If you want to take more doses then break the powder into more than one mouthful, since the less Kratom powder in your mouth, the easier it is to swallow. While swallowing Kratom powder through Toss and Wash Method, you can remind this saying ”Swallowing is the sign of love” that means if you are swallowing the Kratom powder you are loving your health. 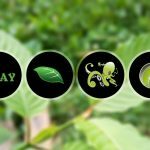 If you are circling around a confused or a routine way then you can learn how to take Kratom with the simplest method of all. One of the popular methods to take Kratom powder. For this you need to boil the powder with some required water around 30 minutes le it biol. Then take the liquid have it how you drink a tea. Most of people will good and felt better who are using this way. It will give the user better and consistent results. In this, the bad thing is only it will consume 30 minutes time unless that you can even drink either hot tea or cold tea that is up to you. The taste is not too bad to worst its good only. “Where there is Kratom tea there is hope about their better health. Some people also use this method, in this, the user has to add the Kratom powder to Yoghurt and have it. This method is better if you want to mask the taste of the Kratom Powder. Chocolate Milk, Orange juice, and Pomegranate juice and even with coffee. “Add to Protein shake is like your Soulmate/Life partner’s hug”. You will feel better when compared to other useful methods. If you want to avoid the taste of Kratom powder its better choice to have it. Capsules are available in different sizes, as per the require dose you have to choose and take the capsule. If you are the Beginner/new user it’s advisable to you to start with less dose, or if you want to know to contact the professional guides available in social networks. You can freely contact them and ask you’re right dose. Based on your age and your weight they will advise and guide you. You have to follow the dosage amount, dosage intervals and strain rotation. In the initial stages, it’s better to take a low dose until you feel comfortable with the powder. You have to stay in hydrated mode. Don’t take too much dose if you take then it will cause you a headache. You need to drink more water while having this powder remember this! If you want to take a small dose then it’s better to have the powder with an empty stomach. To judge which way is the best way is a difficult thing, and even a challenging thing too, but as per mine I will prefer and suggest “add to protein shake”, you can choose any one option. Previous Post Recommended Kratom Ban – How can we Stop It? Next Post Kratom Extract an Unique Article – What you probably don’t Know?